Have you ever been in a situation where you were offered an orange or easy peeler with a greenish skin and, not wanting to be rude, you peeled it and put a slice in your mouth - waiting for the sourness to contract your mouth muscles - but no, it was pleasantly sweet? You would not have hesitated to accept a bright orange fruit, believing it would be as sweet as can be. 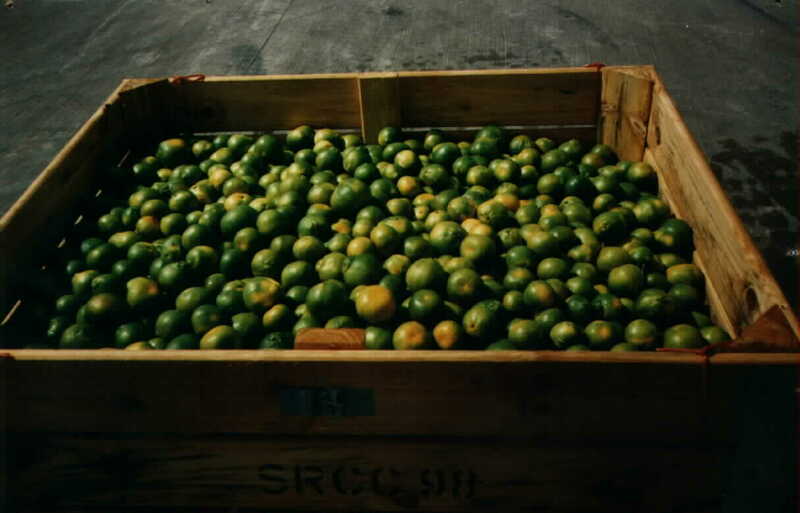 Below is a photo of citrus that is actually fully ripe, even though it still has a predominantly green skin colour. 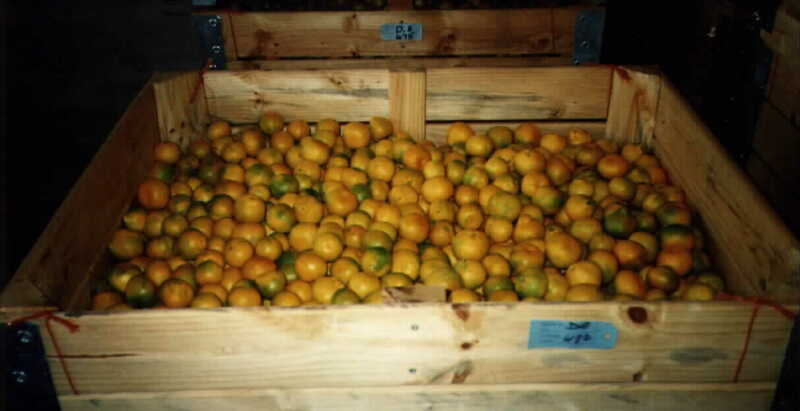 A process called degreening will encourage the fruit to change to a more acceptable orange colour. GPB Consulting has successfully designed 25 degreening rooms in the Western and Eastern Cape. Degreening rooms provide ideal atmospheric conditions under which citrus fruit will colour to the orange colour preferred by the purchaser. The process is a totally natural one and has no effect on the ripeness of the fruit. Gerhard Potgieter, MD of GPB Consulting, explains that it is necessary to improve fruit colour for the benefit of the purchaser. "When autumn conditions are warm or mild, the fruit ripens normally, but is inclined not to develop a full orange colour as rapidly as is the case when the autumn weather is relatively cold. We have experienced mild early autumn weather over the past few years. "This naturally ripe fruit is encouraged to develop the requisite orange colour by formation of carotene on the surface of the skin. This should ideally be accompanied by a reduction in the green coloured chlorophyll." The degreening process consists of placing the fruit in a carefully controlled atmosphere in which temperature, relative humidity and levels of carbon dioxide and ethylene (a gas given off by fruit when ripening) are carefully controlled. Degreening rooms are very much like cold stores, and in many cases are also used for this purpose. After degreening, the fruit is packed in the usual manner.